Green Roads have some great gummy options. If you are using CBD for more severe conditions and intense pain, then the froggies might be your best option. Green Roads CBD Froggies are often used for depression, chronic pain, anxiety, and stress. The Green Roads Froggies come in three different options – 100 mg, 200 mg, and 300 mg packs. The froggies are all sugar coated and the only difference between each is the amount of CBD. The 200 mg pack contains four froggies with 50 mg of CBD per froggie. The taste of this product is very close to perfect. Apart from the very subtle hemp aftertaste, you wouldn’t even know that you were eating anything related to CBD. It tastes just like non-CBD gummies, complete with the sugar coating. This is one of the most convenient ways to get your dose of CBD. You can pop one in your mouth as you heading out the door in the morning and you will be set for the day. Since this product is an edible, you will get the same effects on your body as with any other edible, with the effects being a little more delayed than oil and substantially more delayed than vaping. However, once it does take effect, you will really feel it. At $31.99 for a pack of four, this is quite a pricey product. Truthfully, the only thing that might hold us back from purchasing this product is the price. Depending on how much CBD you need to consume, this can become very costly. 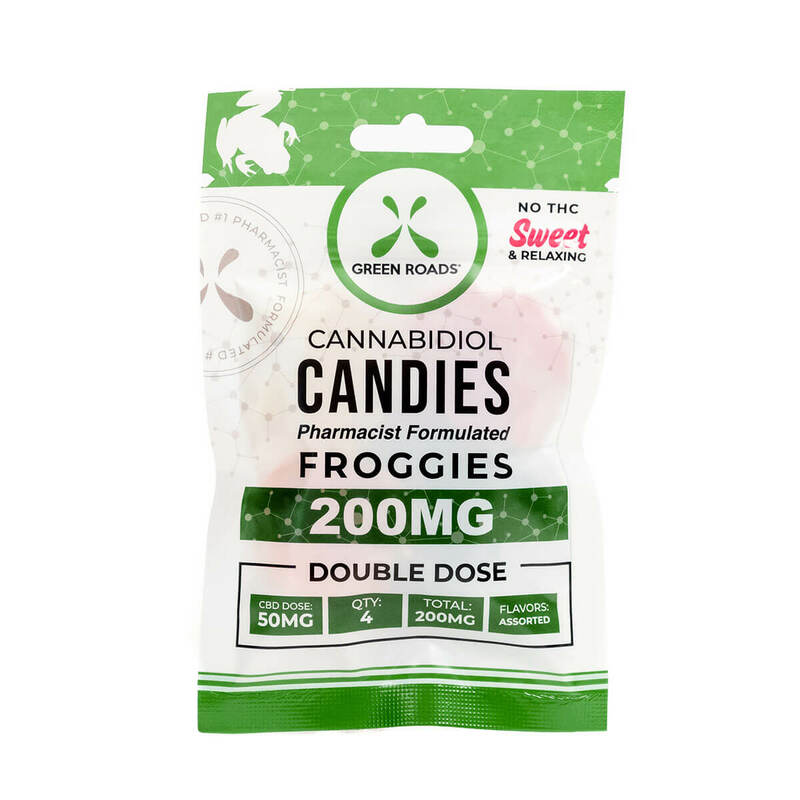 As a tasty, effective, and convenient way to get your daily dose of CBD, you can’t really go wrong with the CBD Froggies. However, the price could be a little defeating.